The Gite "L'auberge a la Cathedrale"
Momo's Gite is your second home. The staff will make you feel like you always have been here with their kindness and hospitality. This place is where you will share moments with travelers who have a thirst for adventures. 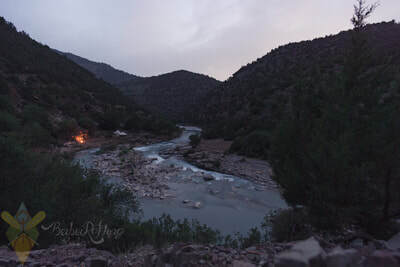 The Gite is a very basic Berber accommodation somewhat akin to a youth hostel in terms of relative 'luxury status'. Your bed is a thin matress on the floor of a small dormitory. Make your own bed with the supplied sheets and blankets. They have a restaurant, bedrooms with western toilets and hot water showers. We're expecting to finish the Hammam for next year! 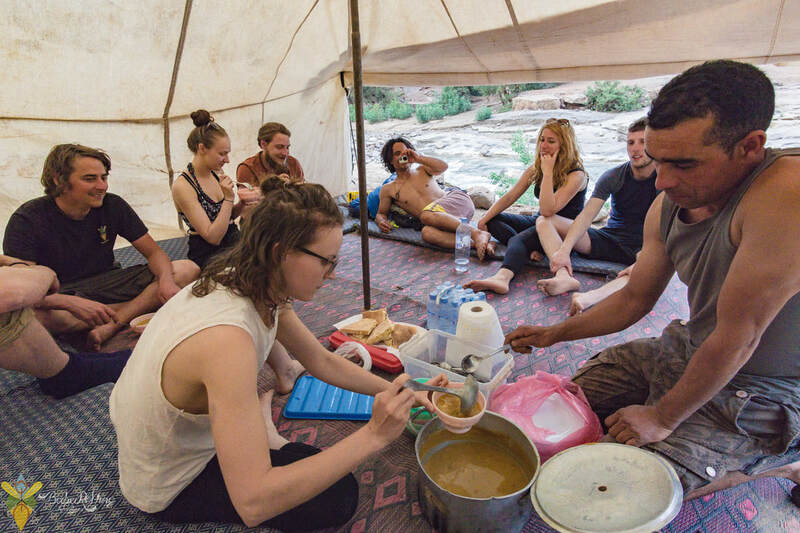 Your best chance to experience the real Morocco rather than a pimped up hotel. No swimming pool or bar. :) The Gite "l'auberge a la Cathédrale" is located right in front of the famous "Cathedral Rock" in a little village called Iminwarg in the Tamga National park in the Ahansal valley. 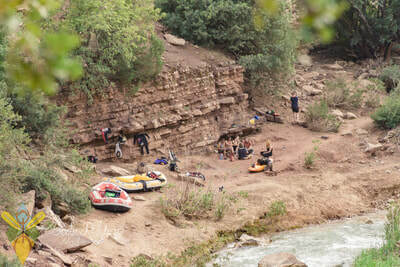 This is our river base for all of our activities (trekking and rafting). We recommend you spend a night at the Gite for the full experience during your stay in Morocco.